Project | Areál Sokolova s.r.o. The project of Areál Sokolova after years again breathes life into the property in Brno – Horní Heršpice, where business and industry have tradition since thirties of the twentieth century. 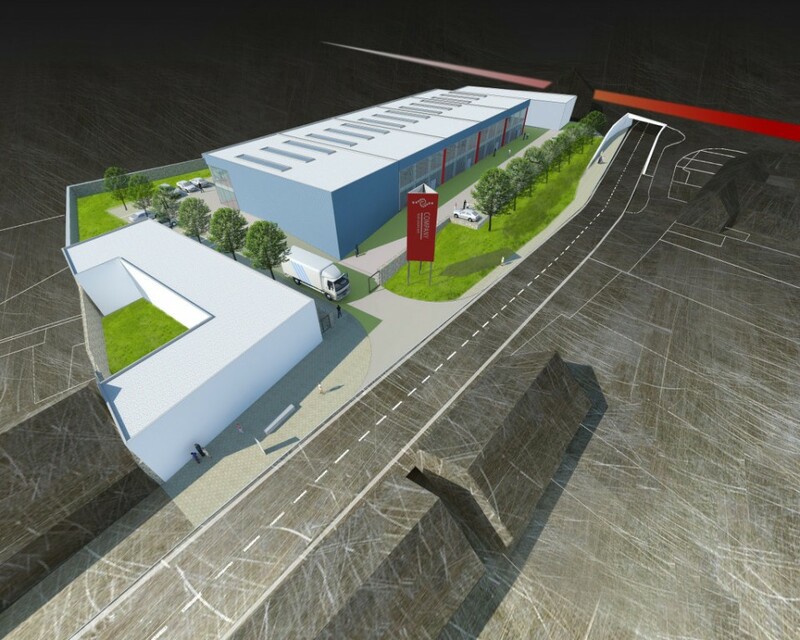 In the complex will be gradually built a modern complex of buildings, whose core becomes 5 multi-purpose halls suitable for light manufacturing, storage and after-sales service. The project will also include another multifunctional building suitable for residential units, shops, etc. The resort is well-located on the boundary of the residential area and a large area, which is designed for the production and transportation systems. 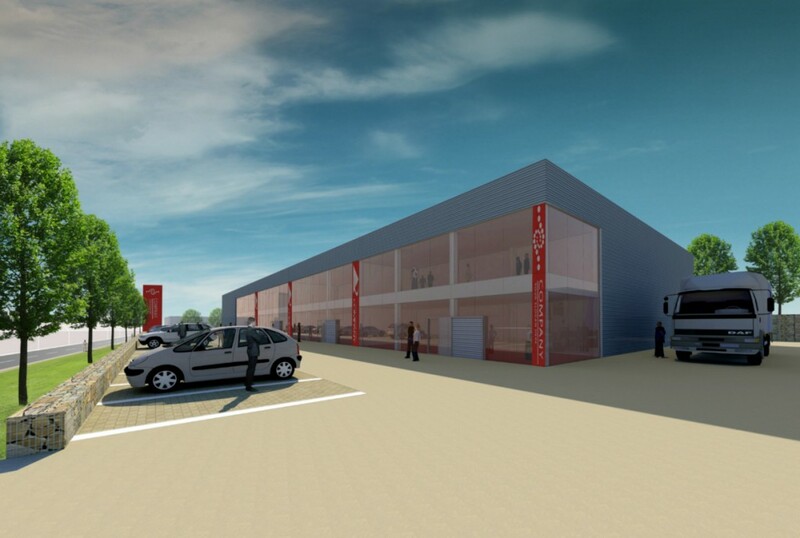 It means - together with excellent transport links and motorways and expressways – the perfect space for your business. Every hall with an area of 420 m2 is designed with the emphasis on practicality in every day working and also on representativeness. Two-floors entrance hall includes reception, showroom, restrooms and administrative facilities. Size of these rooms can be flexibly adjusted according to client. For example the second floor of the entrance part can has a floor area from 80 to 160 m2. Follow-up single-storey section has a clear height 7,5 m and spacious entrance gate. 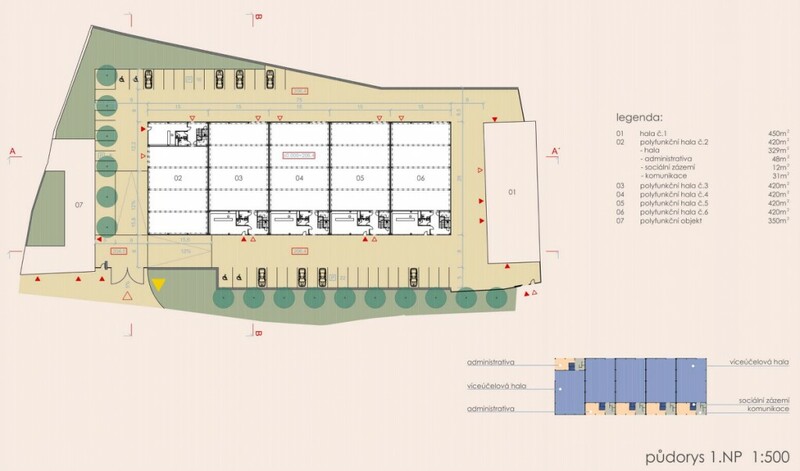 Of course there is a sufficient number of parking places (more than 40, including opportunities for disabled people), easy access of also spacious trucks to the halls and gates, completely new distribution utilities and planting of greenery for completing the overall atmosphere of the area. If you need some information about free spaces, please don't hesitate to contact us.